Amputations are the costliest injuries in workers’ comp, according to the 2016 Travelers Injury Impact Report. These injured employees need surgery, hospitalization, medications, home health care, numerous medical providers and prosthetics (artificial limbs). 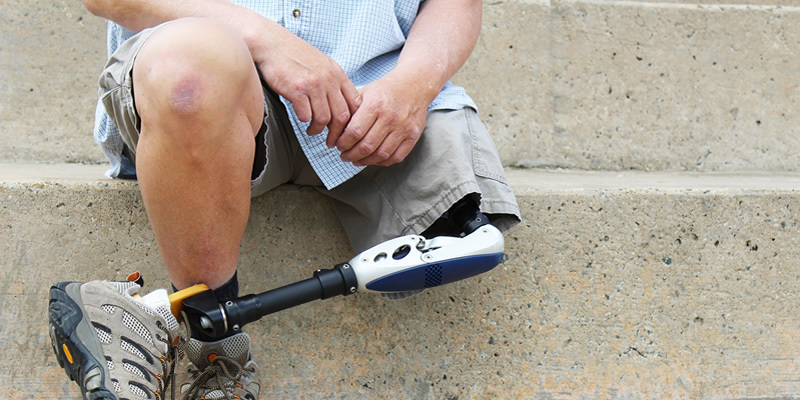 The Amputee Coalition reports five-year prosthetic costs to be as high as $450,000 per person. In workers’ comp, the goal is to avoid unnecessary features and costs, while providing a prosthetic that helps the injured employee return to work and to the lifestyle he or she enjoyed prior to the injury. New technologies, manufacturing techniques and materials have produced amazing advances in prosthetics over the past 10 years. Fully articulating myoelectric hands, knees with microprocessors, and feet that can get wet are just a few innovations. An artificial hand with fingers that move independently can help a painter return to work, and with some prosthetic legs, roofers can climb ladders backwards. Rotating wrist units for upper limb amputees enable machinists to return to full duties. Improved technologies mean that more injured employees can regain active life styles, even running, mountain biking and snowboarding.